At Marks Cleaners we always do what is best for the Garments. 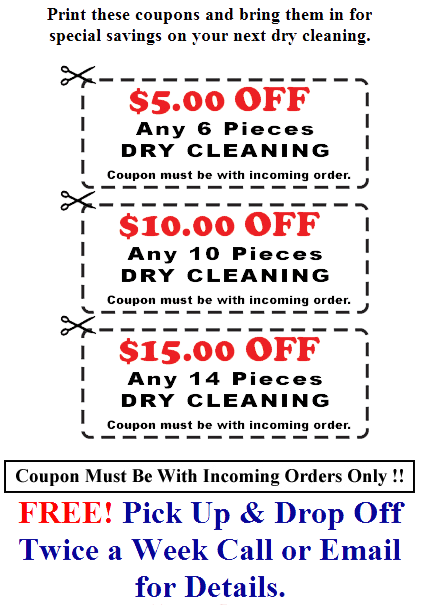 Silks and Rayon shirts are not recommended for this process.This Special is separate from all other Coupons CANNOT BE COMBINED WITH COUPONS BELOW Only one special per visit. Show us this special on your smart phone or print this out and bring it on your next visit.